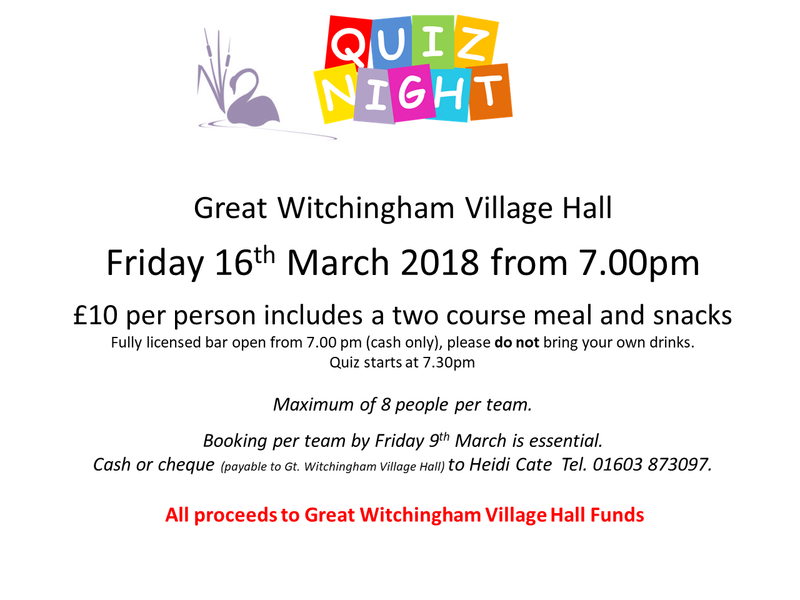 Only one week left to book your team in for our fantastic quiz night! The teams are booking in… it is looking like another fun, yet competitive evening! Do give me a call if you would like to book 01603 873097 or email heidi.cate1@gmail.com.